House of Mutt Blog » When is enough, enough? 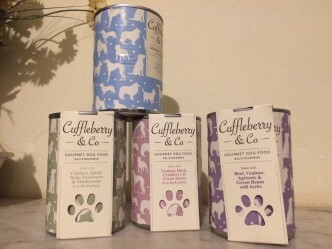 Might it be, do you reckon, when dog food tins are the prettiest things in your kitchen – let alone your house! Check out these beauties from Cuffleberry & Co. Gorgeous. And if you run out of pate for your next DP … Quail, Chicken, Baby Sweetcorn and Mushroom in a Herby Gravy anyone?